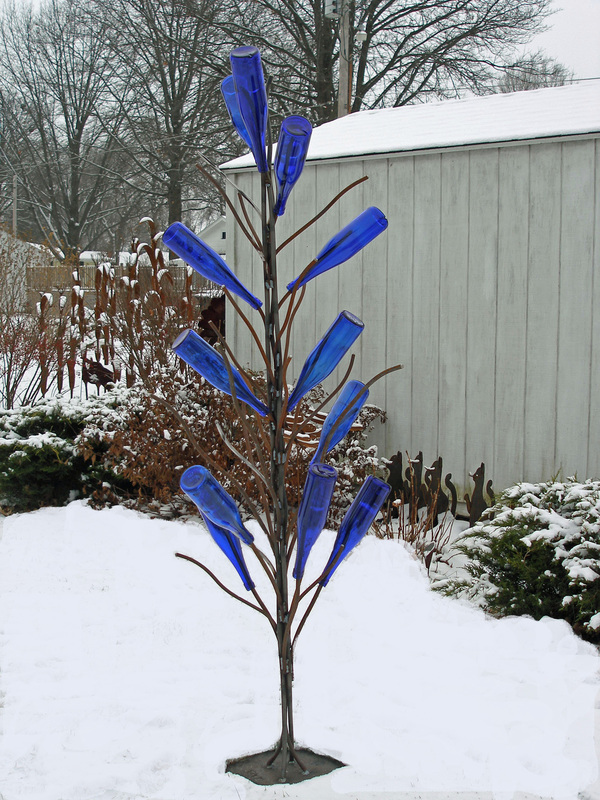 6 feet tall and holds up to 35 bottles. 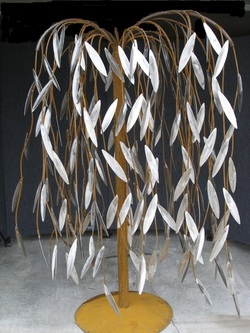 This graceful willow tree was our first creation. 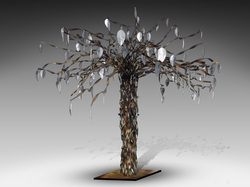 The stainless steel leaves pop in the sun against the rustic trunk and branches. The tree is 6 foot tall & 5 foot wide. 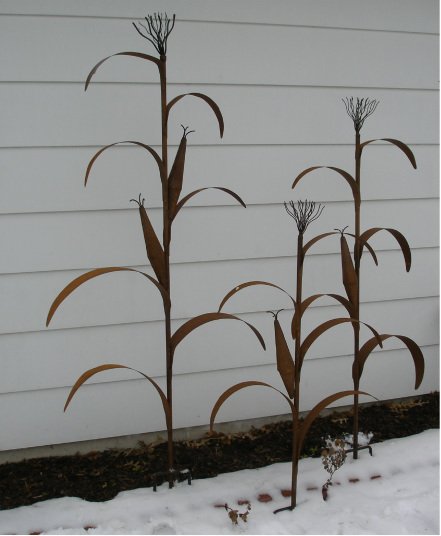 The corn stalks are made in three sizes. The four foot stalk is $75.99. The five foot stalk is $80.99. The six foot stalk is $90.99. Our sunflowers are made in two sizes. 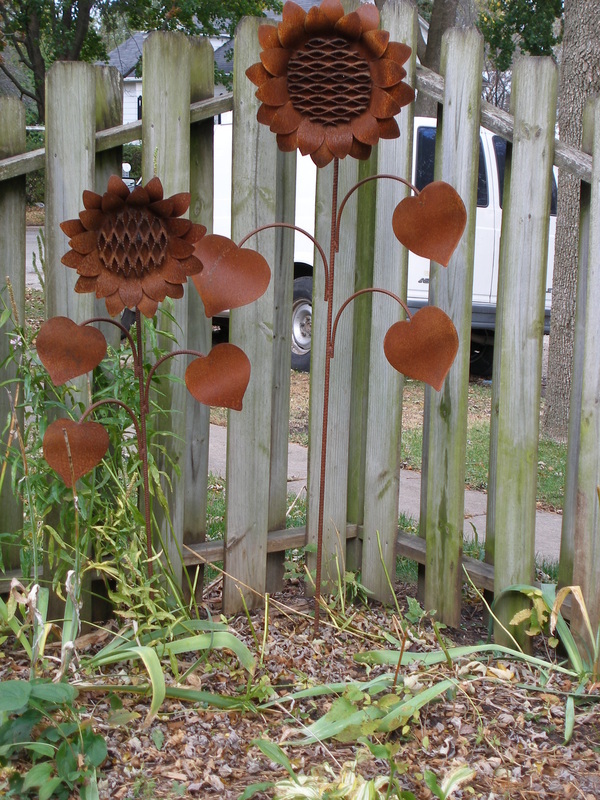 The small sunflower at five feet tall is $80.99. 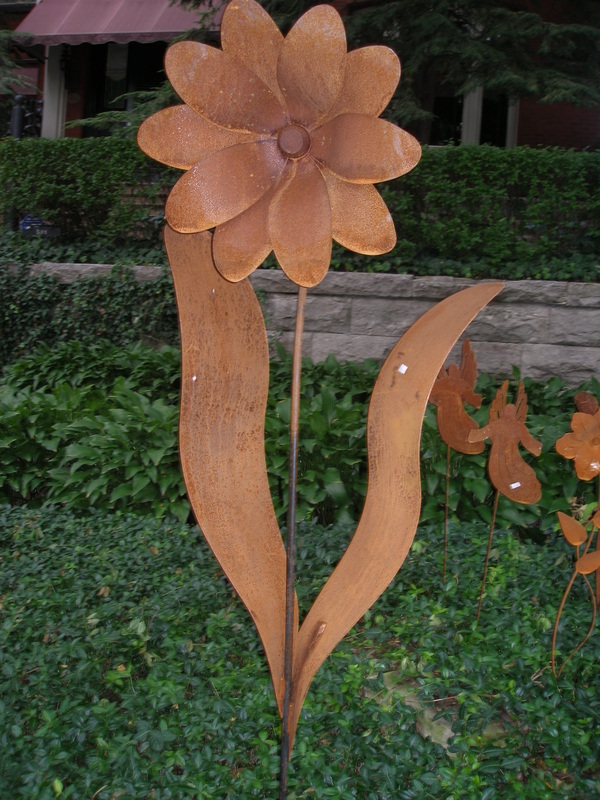 The daisy is six feet tall and costs $90.99.